I have been using Antivirus Security from AVG mobile for a while but I have decided to uninstall it for performance issue. It has been with me many years and never caught an virus. So I decided to remove it especially I have not simply installed new applications for quite some time. The Android performance is too slow until it reaches it's unacceptable level. After I uninstall the Antivirus, my phone performance is no longer lag that badly. 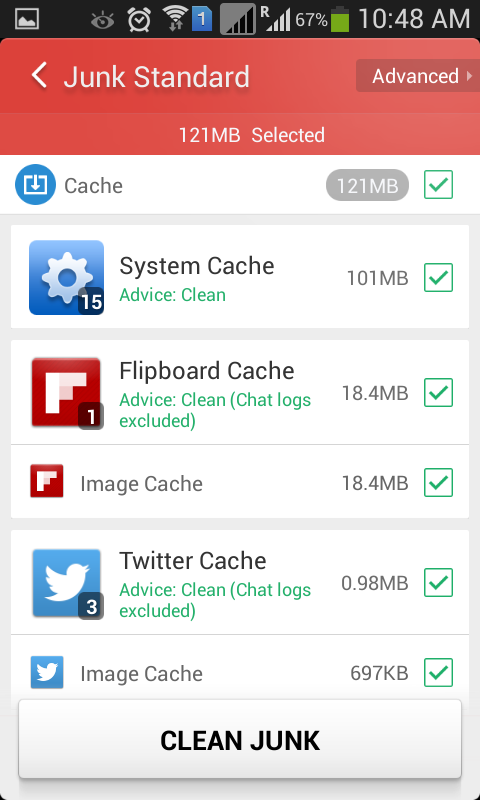 Also the latest update from Clean Master, it has a feature called "Pre-installed apps" from App Manager. 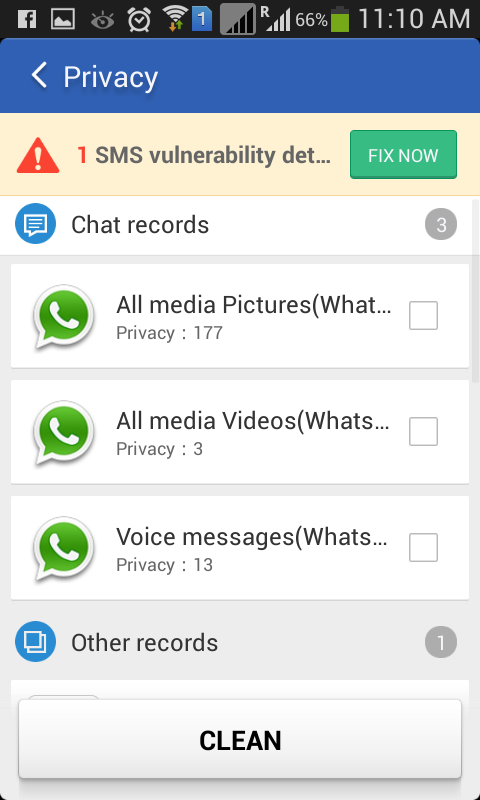 What you need to do, disable all unused applications that can be safely disabled. Previously I just listed all of them here but I don't think is complete. This new feature from Clean Master simply makes it easier! Other thing you can do is Disable Animation in Android. Android is really running very slow especially running on non high end smart phone. Hope that helps! Have a nice weekend! 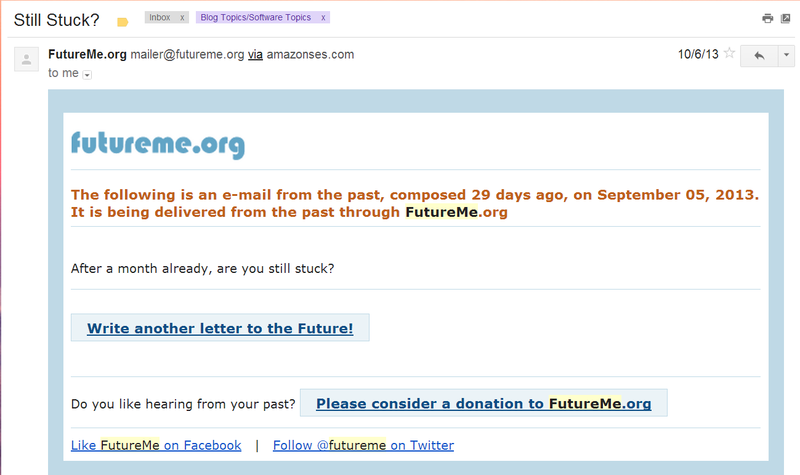 I find this idea is pretty awesome, you can actually send email to your future with FutureMe.Org. Here is the sample that I write to myself! 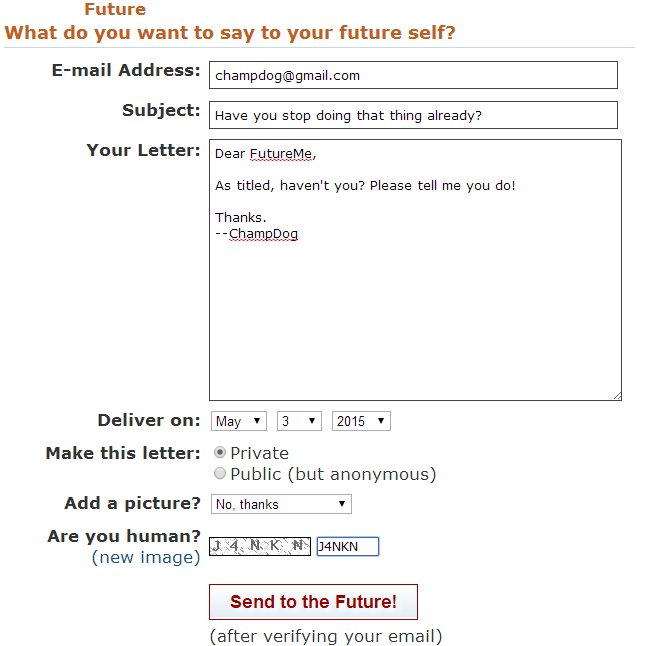 It is very simple, you just fill them out like a normal email, choose when you want to deliver and click "Send to The Future!". The private and public's setting is to set whether you want to share your letter to the public. To see public letters from others, you can navigate to "Read Public Letters" tab. You will see many delivered future letters here. After that (the final step), you just need to click on the verification link that send to your email. Not necessary you must send to yourself, you can also send to others. To do that, you must register first and login. Once you login, the steps are similar but you can now choose who you want to send your email to. I think you also can send to multiple emails with ";" as separator. When the time comes, you will receive an email something like this. This is something I think can be improved because it doesn't look like an email. I did this last year (as you can see) but it may have changed now. Nevertheless, this is still a very cool idea! Try it out! Recently I found this app which allows you listening to your hometown radio station online. This is very useful especially if you're in oversea like me and you miss you local radio station very much. 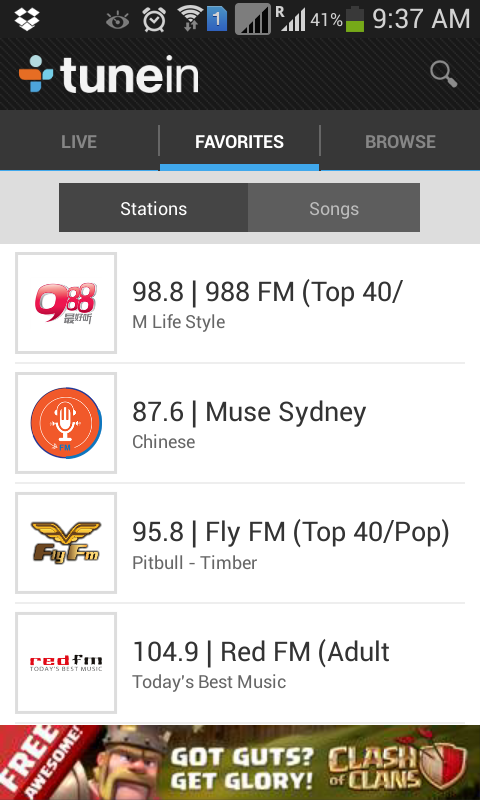 You can use this app to browse to your favorite stations and listen them online. You can also browse to other country's radio stations. Go to browse tab and choose "By Location". You don't need to be physically in that country to listen to their radios. This is really awesome! However not all stations are working fine. For example, although I can find MY FM in Malaysia radio station, when I try to play it and it gives me this warning "The station is not available". So I guess it is still better than nothing. A lot of stations are still working good. One more thing you need to be aware of is this app drains up your battery very fast if it runs in your background. I suggest if you don't listen to it, make sure you completely exit the application. Sometimes click on the back button may not work and it still runs in background (although there is no music or sound). So, my suggestion is just go to "Menu Button" and select "Exit" to make sure it completely exits if you don't listen to it anymore. Besides using Google Page Rank to check for a website whether is reliable, I sometime also use WHOIS service to check the owner's detail who registers the domain. You can use any type of WHOIS services available and I recently found this website - www.scamadviser.com that has a better user friendly of WHOIS service. 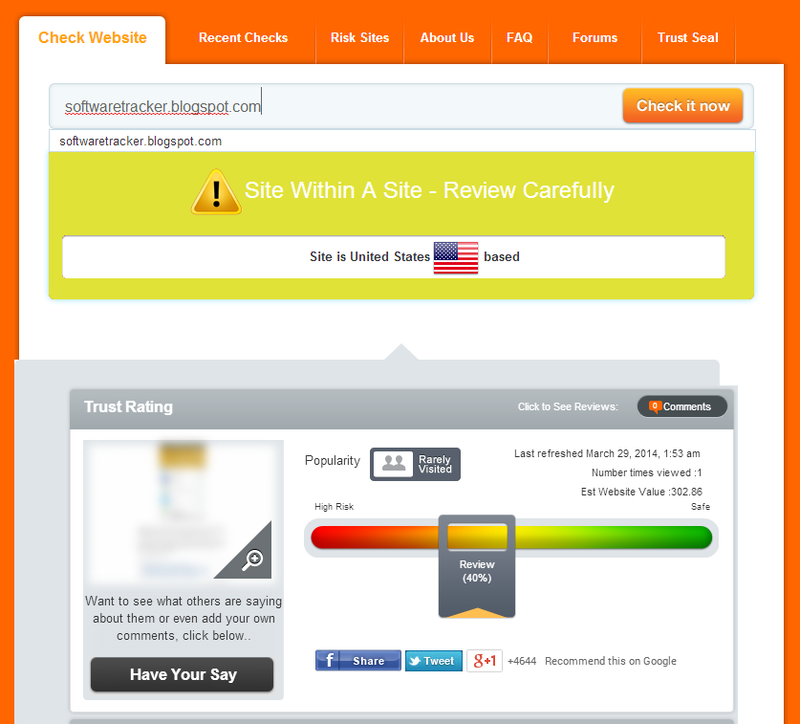 It is similar to the normal WHOIS services with additional "Trust Rating" feature. It indicates whether this website is at high risk or safe but I think you still need to make your own judgement. To see more detail reasons of such rating, you can click on the "Summary". You will see the notes mentioning "This is a generic (most likely free) website using the site blogspot.com". You can also look for the "Analysis Details" to provide further explanations which also include some recommendations to you. After that you make your own judgement whether this domain be trusted. Well, I usually do these 2 steps to investigate a website. First step is Google Page Rank and second step is WHOIS but sometimes I skip the second step especially it has a high page rank (i.e. > 5). If a website has 0 page rank and indicate as high risk in ScamAdviser, it is probably a scam website. Good luck! 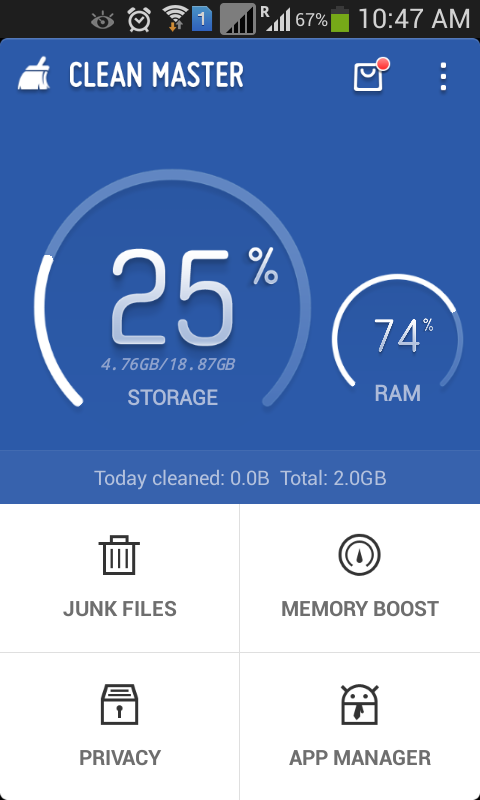 I have been using this clean master android optimizer tool for quite some time, it is time for me to write an review of it. I find the most 2 useful features are Junk Files and Privacy. Junk files is the most useful one because it helps me to clean up the left overs especially after I uninstall an app. However I look at my phone recently and find that many empty directories are not being cleaned up. It does mention to clean up left over directories after an app is installed, I guess Clean Master is not smart enough then. Privacy feature is good because I don't need to open up each app to clear my history. I can use this feature at once for all apps that I have. Memory boost and App Manager are less useful in my opinion. In fact, Memory Boost is useless! 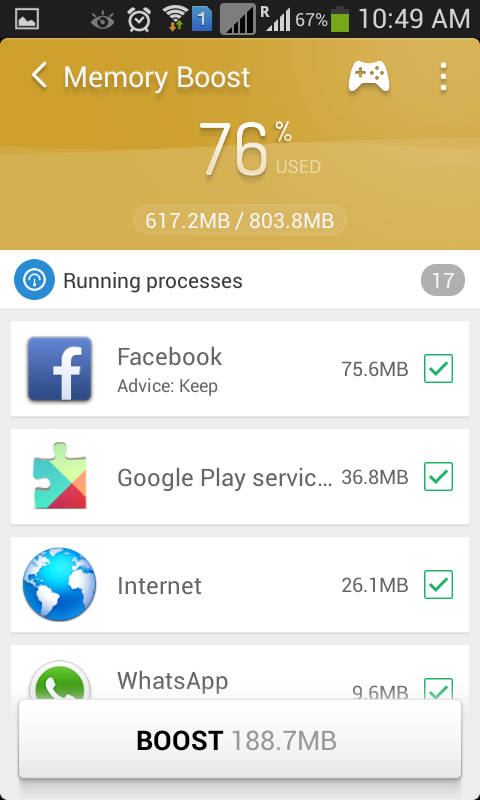 The android should take care of your memory management already. Assuming your phone runs out of memory very often, this memory boost is only temporary. What you really need to do is uninstall all those apps that run in the background when your phone starts. Running this memory boost won't fix your problem. App Manager is also unnecessary because you can do that in your default App Manager in your phone. The only good thing in this tool is, it will tell you which app that you rarely use and suggest you to uninstall it. Let's give it a try, see if it makes your phone faster. For me, I can't really feel the speed up. Keep in mind this tool also runs in background which also eats up memory. Having said so, it does the files clean up for you but manual clean up is still required. The default clock widget in my phone uses up a lot spaces in the home screen especially you put in the weather information in. I'm not sure why they design such a lousy clock widget that eats up whole bunch of spaces. I really don't like it, the clock widget should just utilize the home screen as minimum as possible. So I found this cool clock widget application - "Transparent Clock & Weather" by Droid27 and it meets exactly what I want. 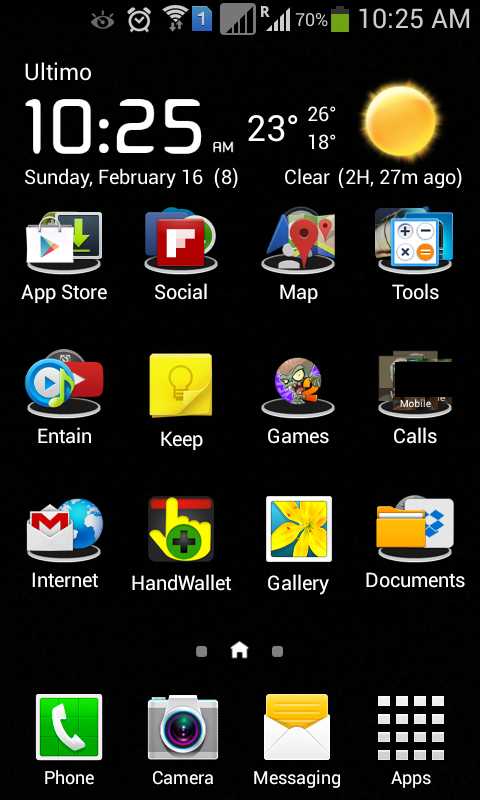 See my phone screen below, you can see it fully utilizes the spaces on top of the screen. Cool, isn't it? It has the weather information with the clock. If you click on the sun/moon (on the most right), it shows you the rest of the days. If you click on the clock (most left), it launches the default clock application in your phone where you can set alarm, timer, stopwatch and so on. If you click on the "degree Celsius" (middle), it updates the weather information immediately. 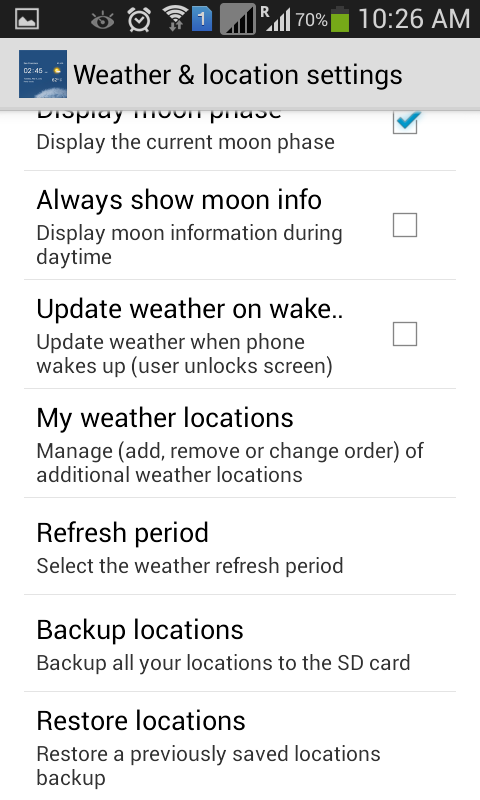 To set the refresh rate, go to Menu->Setting->Weather & location settings and look for the "Refresh Reriod setting. I"m setting it to 4 hours. I'm using the "Use my location" to automatically use my location to display weather information, it works fine. Disable the "Use GPS location" if it is enabled because I don't think you will need this. You can play around with other settings, the default setting works fine too. By the way, the widget is called "Transparent Clock (4x1) and you can find it in your Widgets tab to bring it to your home screen. Try it out and you can download this Transparent Clock & Weather application here. Since I have been migrating to Australia, tracking my expenses is now very crucial due to my income is longer that luxury that it used to be. 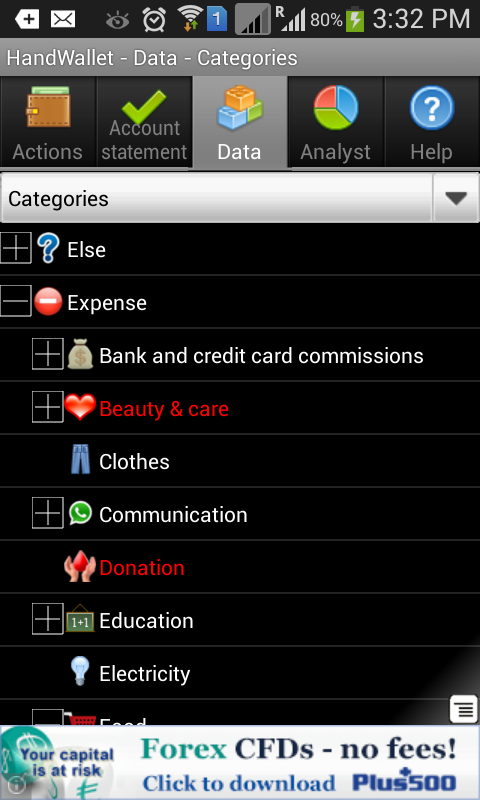 So, I have started to search for the best and free expense manager in Android and I found this HandWallet is pretty awesome. You can track income, not just expense. Some expense manager applications out there only allow you to track expenses. You can track by account (e.g. your saving account, your check account, and your cash). For instant, if you put in your expenses, you can choose which account to use. At the end of the day, you can check the account balance in your mobile verses the actual balance in your bank. 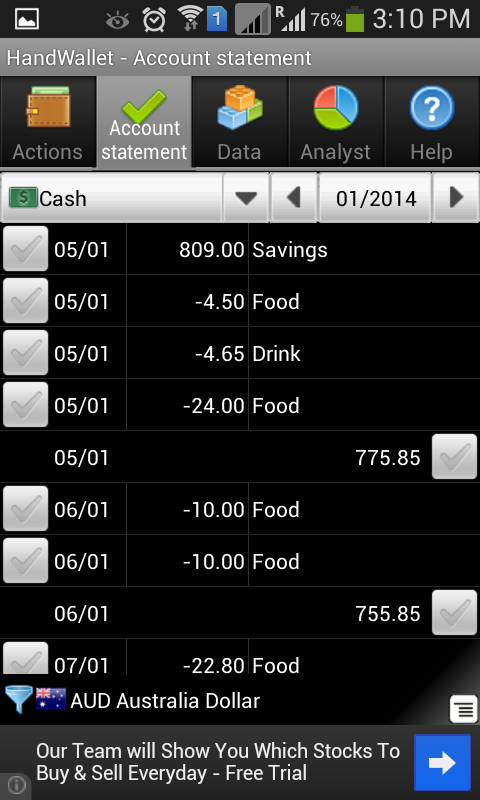 You can customize expenses categories. You can hide those are not needed and add your own category. This is extremely useful. To customize, go to Data Tab -> Categories. Play around with hide and add (new) options and you will know how to use it. 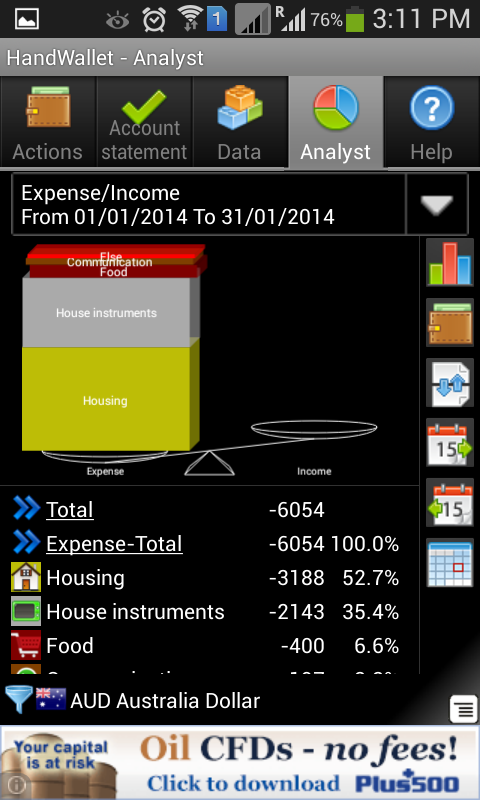 You can also view by graphic representative what is your expenses vs your income. You can also go into each category and look at the breakdown. It is up to you how deep you want to track (e.g. how many subcategories that you want to create). I have been using this for few weeks and I find it pretty cool and useful. Cross-checking with my actual cash (in my wallet basically) and actual balance in my bank is extremely useful. You will be surprised that you will always miss some of your expenses tracking especially you're not getting used of tracking your expenses! 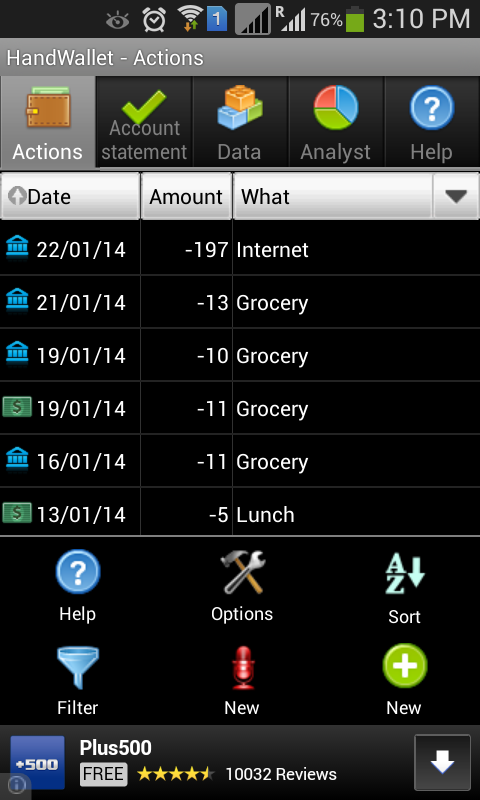 You can download Handwallet Expense Manager here. Happy spending & tracking!